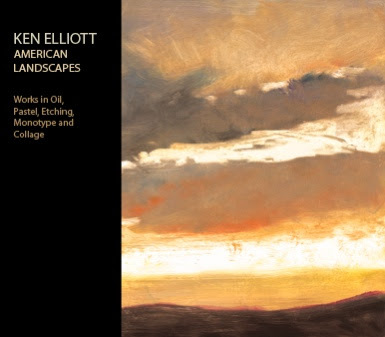 After much more effort than I ever dreamed, I have today released a large format book of my works in oil, pastel, monotype, etching and collage. It is a very high-quality hardback book, 11 x 12 3/4 inches, with 94 color pages of images from my last 19 years as an artist. I haven't held anything back in compiling the best of my works. As a result, I've allowed this book to fill over 90 pages. Since it is a print on-demand book, my cost to produce each copy is just over $100. So, for those of you that want a copy at a great value, I'm also offering this book and a very high-quality, signed giclee print of the cover image, for a total price of the book and giclee print of $150. The giclee image size is 11 1/2 x 11 1/2 inches with additional 2" white borders on heavy watercolor paper with deckled edges. You will pay Blurb publishing a small additional charge (about $10) to mail the book directly to you and the print ships from me at no extra charge to you. 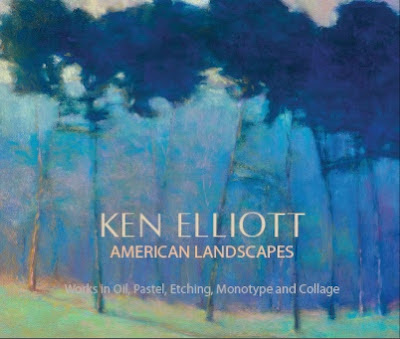 Your $150 will get you this book and the giclee. Note that this giclee with the same image size, limited edition and signed version is $300 on my website. Very important: If you order the giclee print version, you must email me your complete confirmation note from Blurb and I'll ship out your print when the book leaves the printer (about two weeks or less). If you choose to order this book without the print, Blurb will ship this book to you directly for $110. plus postage. Since this is an on-demand book, I have the flexibility to send you a signed copy from my studio with or without the giclee print. Also, I can highlight / feature a work of mine that you own or may wish to purchase into the book. You can have your own coffee table version just like I did. If you are interested in a more personalized version of my book or have any questions, let me know by email and I'll quickly get back to you. Blurb publishing has a wonderful preview of my book. Note that the preview photos are fuzzy for security purposes, and not like the actual book. I do hope you enjoy the book. It has been quite the journey filling these pages. The covers alone are off-the-hook stunning. Thank you Casey! That means a lot to me. I'm looking forward to getting the pastel I purchased from you yesterday. It's my way of stealing all your good stuff! I just finished previewing your book and it was wonderful. I will be talking to husband about ordering your book. The artwork is fantastic. Thank you Marsha! Should you opt to get a giclee with the book, you can have any image in any size and I'll give you a 'bought the book on my blog' allowance for the higher priced sizes. Contact me first before ordering and I'll make it go smoothly.